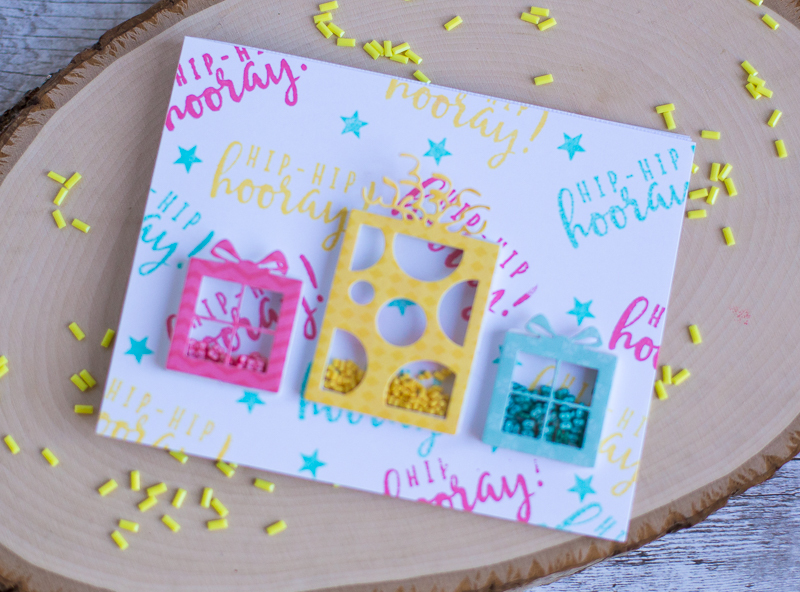 The June Queen and Co kit is called Pretty Presents and includes a fabulous 6x6 paper pad, present shaker shapes, sprinkles and a fabulous stamp set. I used a bunch of scraps from the 6x6 pad to create my background and stamped a few Paper Smooches sentiments. 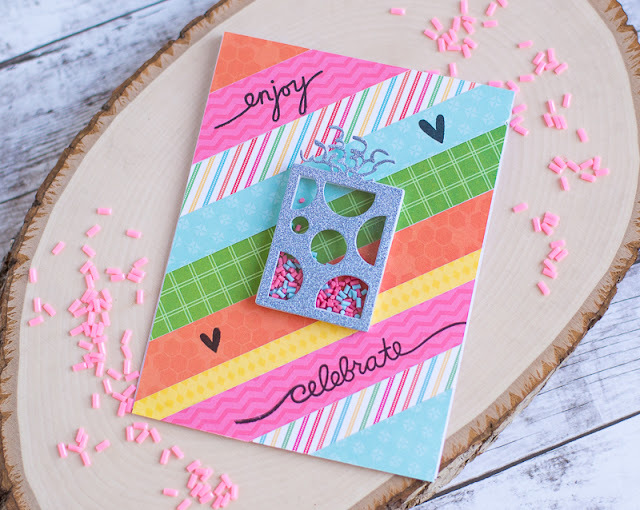 The kit comes with matching dies for the present shakers and I die cut this present from glitter paper. 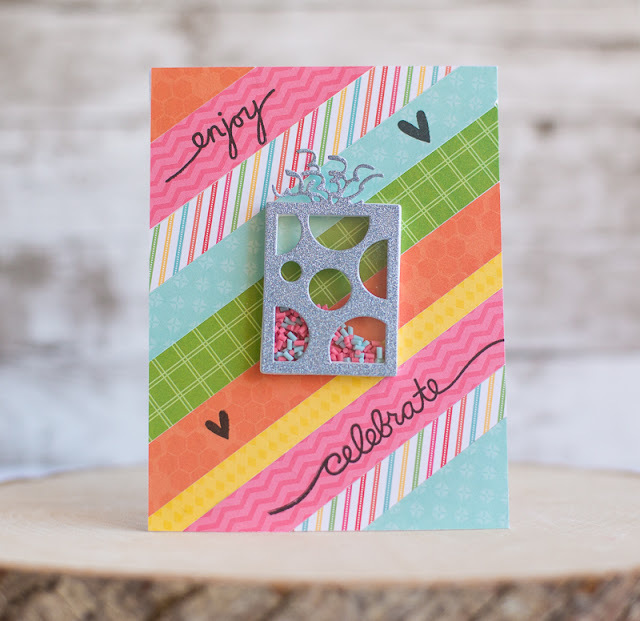 I created the second background by stamping one of the Queen and Co. sentiments repeatedly in different colors. I die cut each present in different colors to coordinate with the different sprinkles that came in the kit. 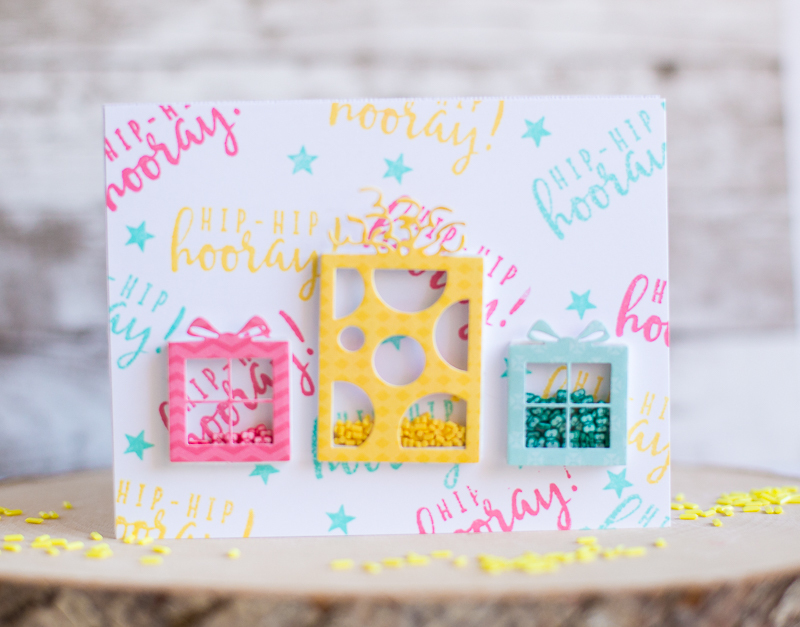 The Pretty Presents kit is perfect for birthday cards and other celebratory greetings. 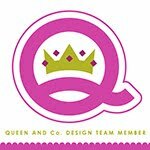 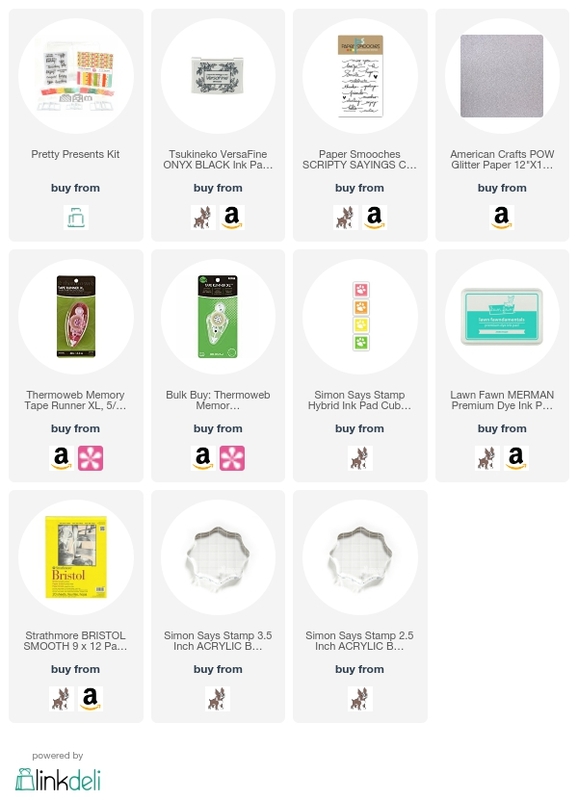 If you are interested in seeing everything in the Queen and Co June kit, check it out HERE.